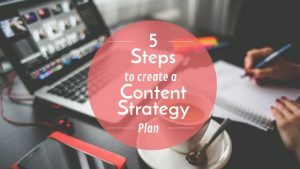 Are you facing difficulties in creating a content strategy plan for your business? Starting with content marketing is difficult as it requires a lot of analysis, patience and planning. To successfully execute a content strategy plan you need to plan it right, hire skilled copywriters & be consistent with your efforts. Content marketing takes its time to give ROI. Additionally, it requires you to create the right kind of content that aligns with the journey of your ideal buyer. But all of this starts with a right content strategy plan that is based on your buyer’s journey. Your content strategy plan should be based on your buyer’s journey so that you can effectively direct your potential buyers (customers) from one buyer stage to another. Basically from Awareness to Consideration to Conversion to Advocacy. This all works as a funnel. There will be many potential buyers in the awareness stage but you will end up with only a handful loyal customers (advocates). You need to create the right content kind of content and get it in front of your potential buyers and then direct them to take the desired action. This is basically how content marketing works and here we will learn how to plan it just right in 5 simple steps. In order to identify your ideal buyer, you need to dive deep into your business. Your ideal customer is one who offers the maximum customer lifetime value (LTV) at minimum acquisition cost (CAC). Once you identify your ideal buyer you need to research on them thoroughly. While the more you research the better insights you will have, it is best to start with key identifiers which are their demographics, goals, challenges, job roles, how they research products etc. Based on the insights you gained you need to frame content on how your offering will help them achieve their goals, solve their challenges and perform their job. Once you are through with this you need to list down you topics to move to the next step. The buyer’s journey consists of 4 stages – awareness, consideration, decision and advocacy. Awareness is the stage where a buyer is not aware of your product or service. Here you offer him solutions to his problems and help him identify you as an authority that solves them. Consideration is the stage where the buyer is aware of your offering and is researching for alternatives and competitors. Here you need to come out as an authority and give him actionable insights to come out as a helpful guide. Decision is the stage where the consumer has made his decision to buy a solution and has completed market research. Now is the time to show that you have the best solution for his problem and how you are better than your competitors and alternatives. Advocacy is the moment when your buyer has purchased your solution and is now a customer. His experience with your brand will determine what opinion he shares with other people about your solution. In this case, product onboarding guides and your product/service quality plays its game. After analyzing your buyer’s journey you will come up with some more topics that can help your potential buyers. Go through all of them and organize them on the basis of the consumer journey. It is sometimes okay if you think a topic can be grouped in more than one category. The language your potential customers use while searching for content online can consist of many industry-specific terms and jargon. If you skip this step you might create great content but fail to connect with your buyers online. Keyword research is the process in which you research for different terms which your consumers are likely to search online to find your content. You can do that using various keyword research tools like MOZ, SemRush, Google Keyword Planner etc. The idea is to look for keywords with maximum search volume and minimum competition so that you can easily rank for them and get noticed. Need assistance with Keyword Research? Feel free to connect. If the target buyer is a college teen then primary channels should be social media (Facebook, Instagram, Pinterest), organic search (Google) and Adwords (display advertising). If the target buyer is working person then primary channels should be social media (LinkedIn, Twitter), organic search and Google Adwords for search results. These are just estimates and you can probably refine these options based on data from intense research and analysis. Hence to wrap it up – you need to figure out where your buyer is most likely to spend his time and focus your efforts in that direction. No content strategy plan is complete without a promotional strategy. The mere creation of content won’t lead you anywhere. Figure out ways to get maximum traction to your content, list them down, create a checklist and make sure you follow it. Marketing automation tools like HubSpot, Marketo etc. can help you automate and streamline this process. If you are not looking for complete automation solutions then free tools Hootsuite and Buffer can also help. The main aim is to get your content in front of your target audience using different techniques like social media sharing, search engine optimization, forums, etc. Make sure you spend good enough time in this process. Thus here we have a 5 step approach to creating a content strategy plan based on your buyer’s journey. In marketing there is nothing like a one size fits all approach. You need a plan based on individual business and target market. If you use this approach to content planning then you can easily create a content plan that resounds with your buyer’s journey. This will enable you to attract, direct and convert them with the help of your content. Good luck!